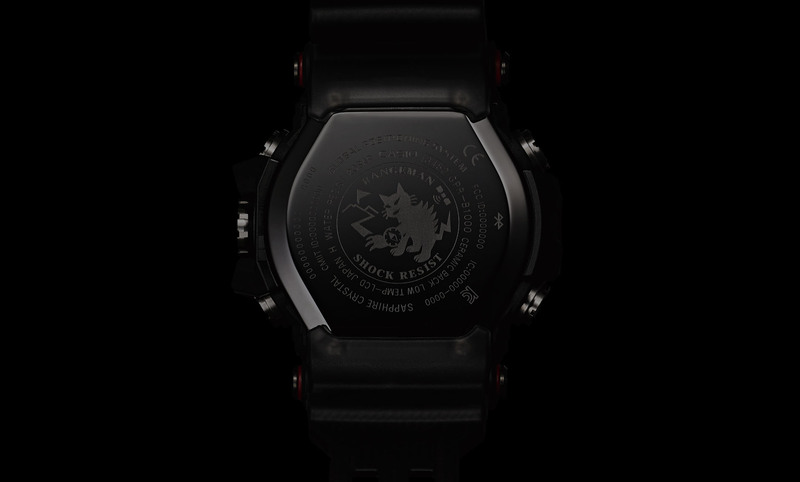 The watch helps users navigate back to where they started, using track data to display the route back to the starting point and bearing. 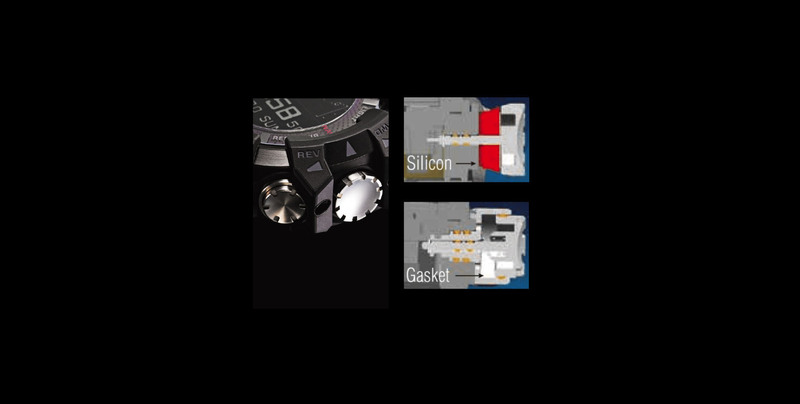 Gaskets are fitted around the buttons and in the button shafts, and silicon is installed at the base of the crown. 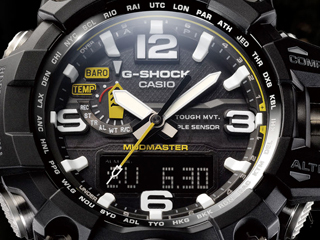 Airtightness is increased to prevent mud from entering the case without compromising operability. 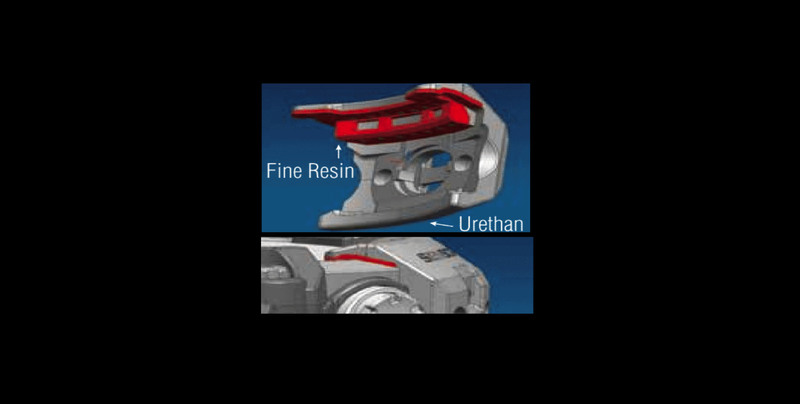 A newly developed, two-color molded resin bumper with a high-strength fine resin insert is installed. 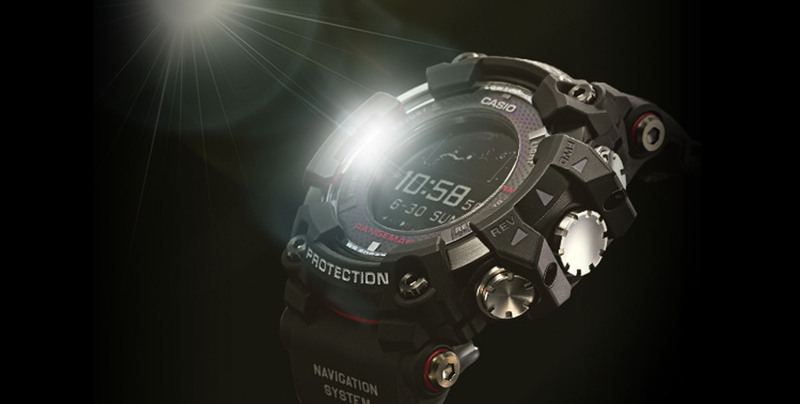 In addition to preventing damage from impacts, it protects the case while minimizing case thickness. 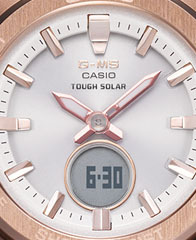 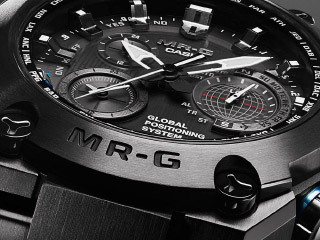 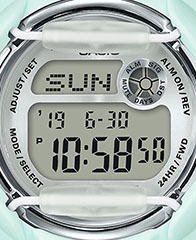 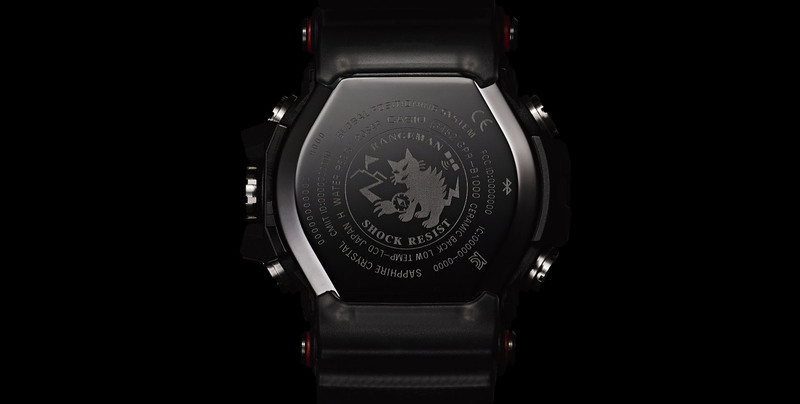 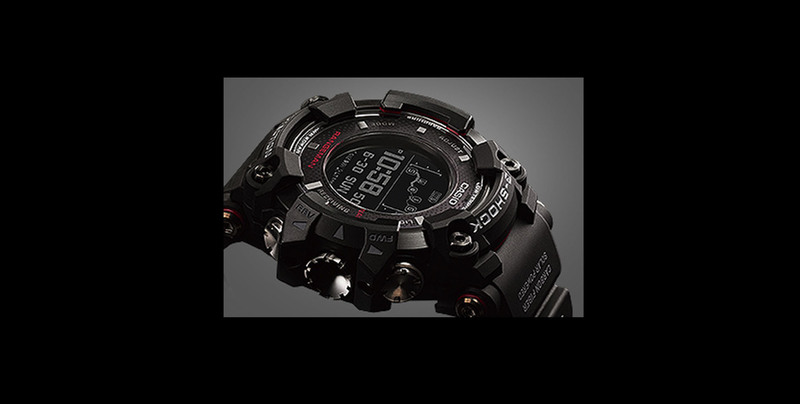 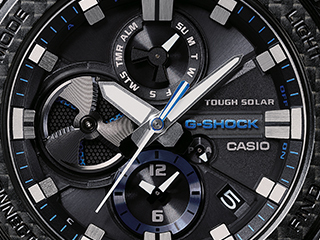 The stainless-steel bezel incorporates a GPS antenna function. 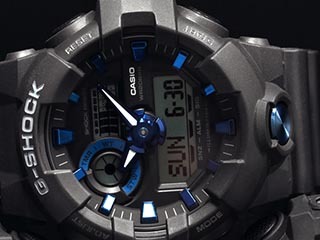 Stable reception is achieved by thus arranging the ring-form antenna outside the case. 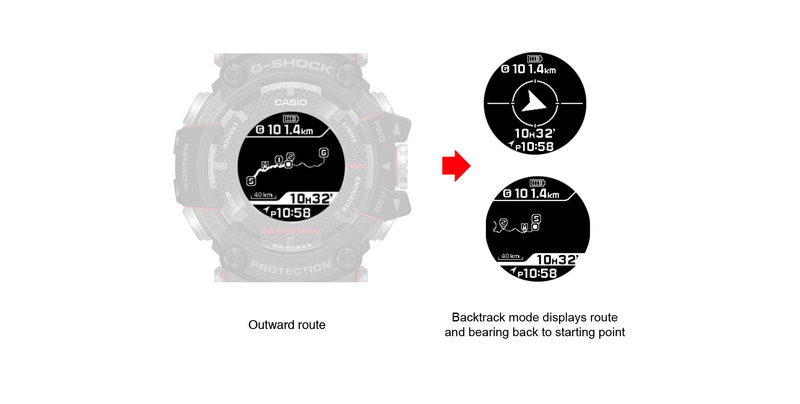 Register the start point, the destination and key points along the way on the map to create a GPS NAVI route map. 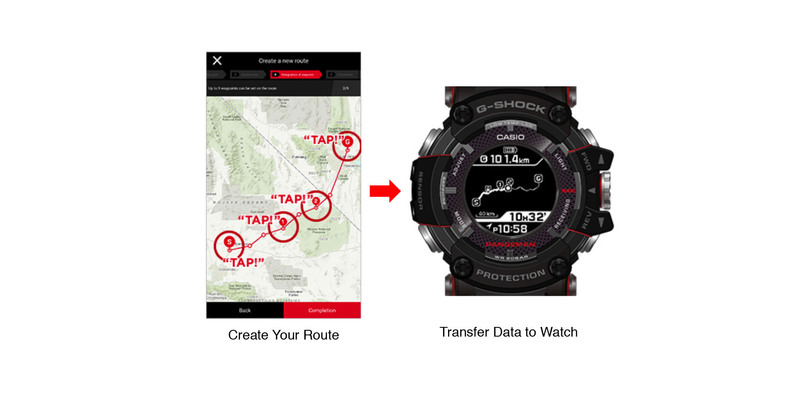 Save the trajectory of your movements on the app. 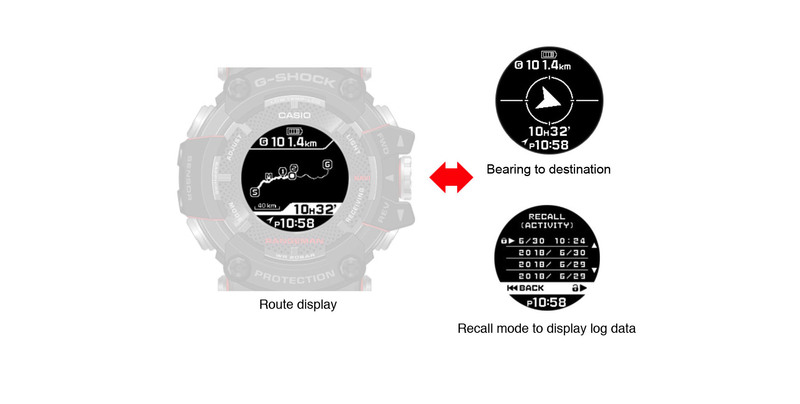 Review your route, altitude transitions and information on points along the way on a timeline display or 3D graphic display. 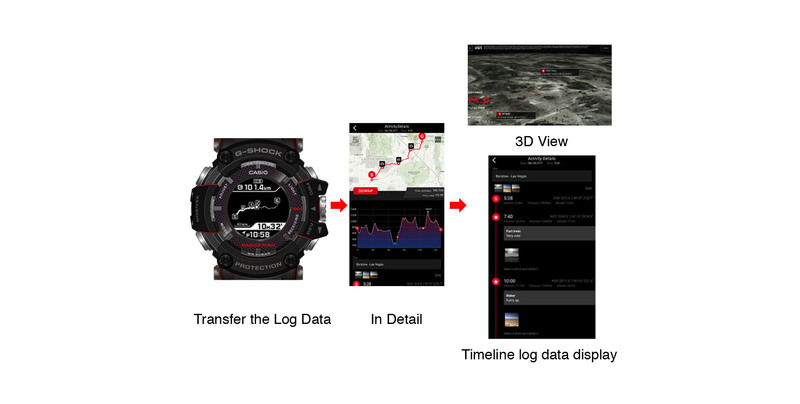 When paired with a smartphone, the watch receives data from time servers to keep accurate time anywhere in the world. 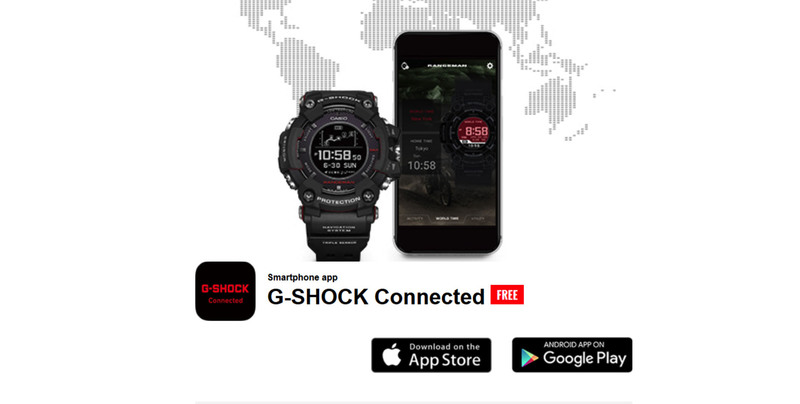 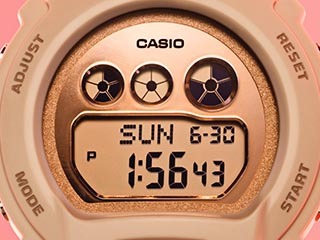 Easily configure world time cities, alarms, and timers from the G-SHOCK Connected app.